Natural technologies and construction costs. The construction industry alone accounts for 30‑40% of all waste in the European Union, consumes 32% of natural resources and 12% of drinking water, and 50% of energy is consumed in buildings. These are enormous values. If this direction is maintained, our health and the quality of our environment will deteriorate faster and faster, and this is not good at all. In addition, in our climate we spend about 80% of the time in buildings, we also absorb, inhale, we touch what the building is. After all, it is obvious that we often suffer from excess of chemicals, which is in all around, also in the walls, floors. By choosing natural building and interiors not only do we work for our health, we also affect the quality of the environment around us and directly impact on amount of waste produced. 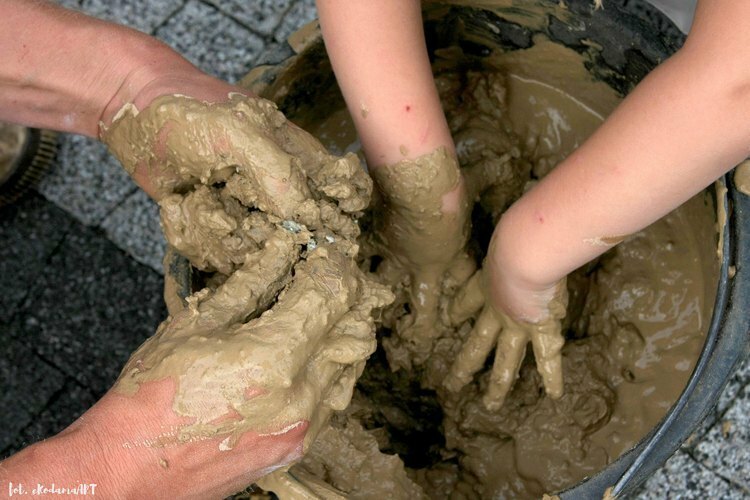 Throughout the construction process, the production of waste and rubbish at natural building construction sites is limited to 70 to 40% compared to standard construction. This is a huge difference. Equally important is that natural materials are low-processed, not "produced", and they do not consume too much primary energy (non-renewable) and water, and do not emit any pollutants to produce them, as is the case with other highly processed materials. There are also renewable sources of materials: straw, hemp that grows back every season; and biodegradable, that is, after use they return to the ground or into our permaculture garden beds. The most popular technology of natural building in Poland is the technology of straw bales, is wooden framework filled with straw cubes. Straw filling the walls serves as thermal insulation. Its insulating properties are slightly worse than styrofoam (λ = 0.052‑0.065 depending on the arrangement), but the straw bales are wide and hence the building so insulated will be energy-efficient (U wall = 0.15‑0.19 [W / M² * K]) and what we do not experience when insulated with polystyrene, vapour permeable. The straw is usually plastered from the center with natural clay plaster (at the wall from insight it is worth to make a wall of unburned bricks to increase the cumulative mass of the building). From the outside, it’s better to use more weather resistant lime plaster or formwork (also fired – Shou sugi ban). This construction can be realized on site or in the form of straw-wood prefabricated panels. The variant of this technology is the straw bale loadbearing construction, those in which the walls are made of only straw bales acting as a support for the roof (with small wooden stiffeners). This design significantly saves wood, which, although it is naturally growing much slower than straw, is worth saving. In Poland for now only two such buildings have been built and the next two are under construction, so fewer people choose this technology, but it is about 10‑15% cheaper than the standard straw bale. The technology that develops dynamically is hempcrete, a hemp hurds (shives) mixed with lime (hemp concrete), which fill a wooden framework. And will not the mice eat my house? This is a general concern that also applies to standard construction. Mice are very fond of polystyrene. In the case of natural buildings, it is enough to melt the safety netting in the lower parts of the wall and make sure that the plaster is well made to protect the building from rodents. Are straw bale houses flammable? 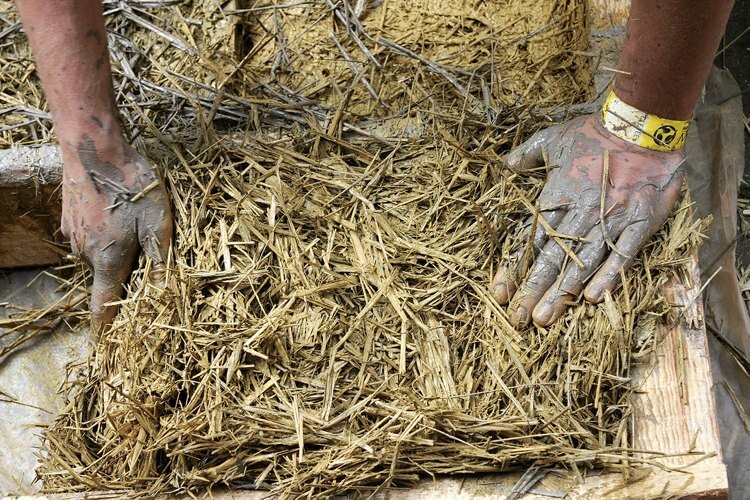 Straw in bulk is a combustible material, it is hard to burn in compressed state, and plastered with clay has quite significant fire resistance. Abroad, such a wall is certified for 30 minutes fire resistance (in some tests even 90 minutes) and this technology is used in public construction. 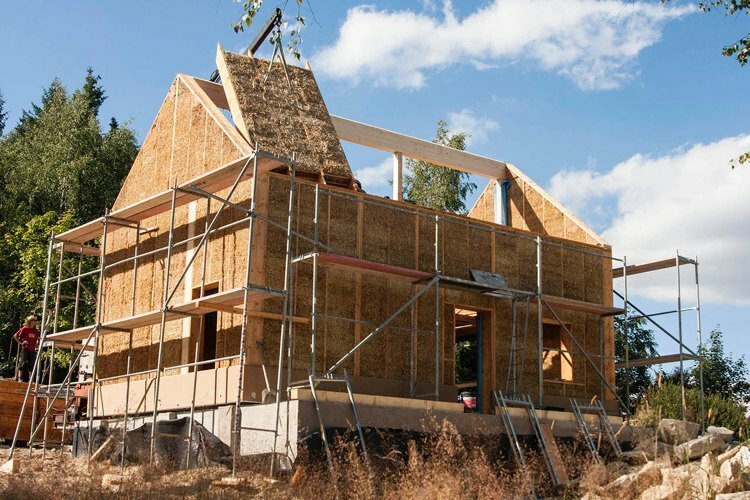 Fire tests conducted in the USA show that public constructed buildings in the straw bale technology have a higher fire resistance than timber-framed houses filled with mineral wool, which are commonly used there. The price of a natural building in a shell and core stage, in the commissioned system, is on average cost 2500‑2700 zł net / m2 usable area. Basement costs about 500‑700zł net / m2 of usable area of basement. These costs can be reduced by 15‑20%, while implementing the building in DIY system. Finishing is an additional cost depending on the standard from 1000 to 1500 zł / m2 usable area of the house. The whole house to move in, we count 3000‑3500zł / m2 (with higher standard, large glazing, wooden joinery etc. 4000zł / m2). Do you want to read more about natural technologies and other curiosities from the world of natural architecture? Try our BLOG.